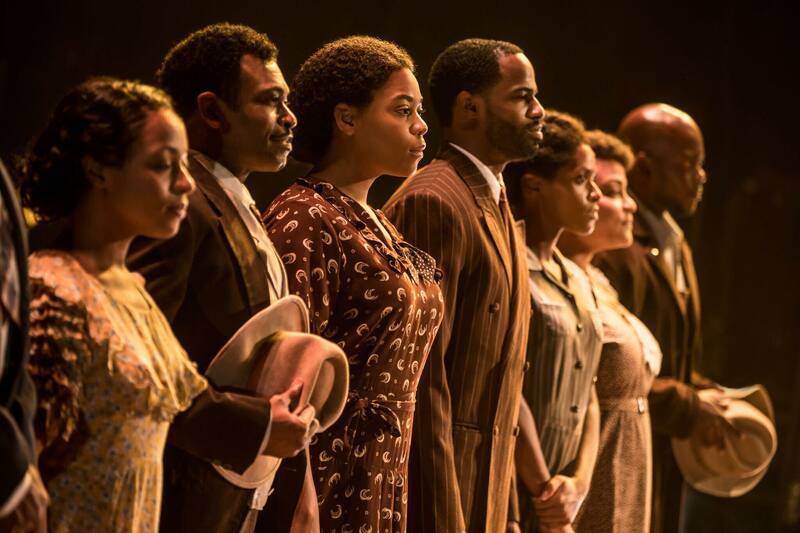 Cast from the North American Tour of The Color Purple. Photo by Matthew Murphy. If you are looking for something to do this weekend, I have exactly what you are looking for. 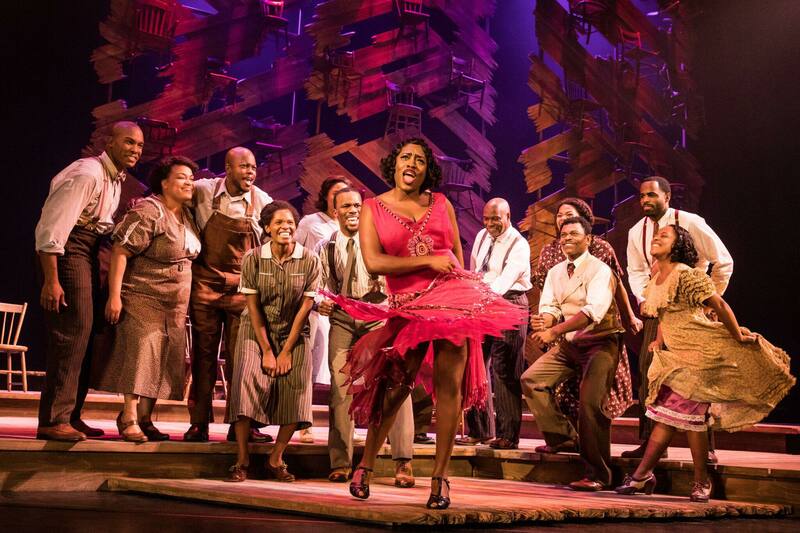 The Color Purple, was the most vocally explosive show I’ve seen this season!! The raw talent in this cast will blow you away. I will be honest, I didn’t know what to expect when I saw The Color Purple on the schedule this season. 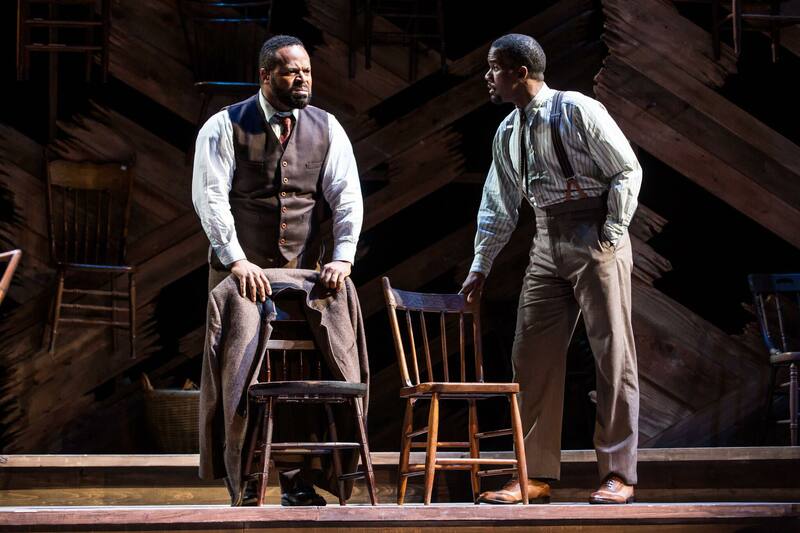 How would they take the Pulitzer Prize winning novel by Alice Walker and adapt it into a musical? The story of this group of African American women, set in rural Georgia in the 1930’s, is hard to wrap your mind around in today’s time. The abuse and inequality they suffered from not only the social structure, but by the hands of their own family, is hard on the heart. 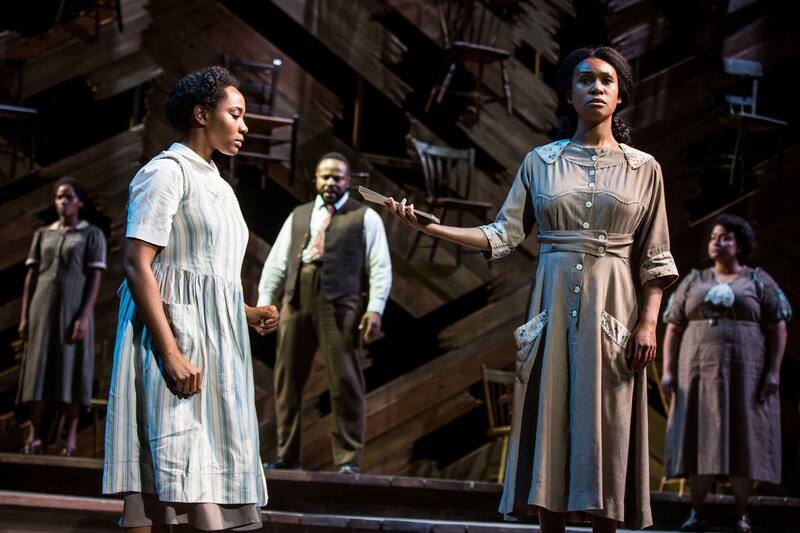 Celie and Nettie are two young girls who had lost their mother and were left to be cared for by an abusive father. Mister, a man trying to marry Nettie, to care for him and his children, was repeatedly turned down by the girls’ father. The father agrees to let him marry Celie who he regularly refers to as ugly. Mister was so abusive to Celie that she was submissive out of fear. Eventually the children were grown and Harpo, Mister’s son, meets Sophia. Sophia is this strong willed, dominant woman that WILL NOT be controlled by a man. Sophia married Harpo and they had several children. Harpo is much more kind than Mister, but eventually tries to control Sophia the way that his father controls Celie. Sophia will not have it and she eventually leaves and takes her children. Leaving Harpo to fend for himself. During his time apart from Sophia, he opens up a juke joint and takes up with a woman named Squeak. Shug sings nightly at Harpo’s juke joint, and stays with Mister and Celie out of fear of what will happen to Celie if she doesn’t. During this time, she reunites Celie with her sister Nettie. Mister hid Nettie’s letters for decades. Celie had believed for years that her sister was dead. Now with a new faith in a God, and a belief in herself, she FINALLY stands up for herself. BUT… Out of the ashes these women RISE, and as they do they take you on a heartwarming and very emotional journey. I’ve left out so many details on purpose. Those of you who are not familiar with this story, go see the show!!! This story will make you laugh and cry and cheer as these women take you on an eye opening, heart-tugging journey. The vocals of this cast are absolutely phenomenal, but there is a character in this particular show that grabbed me. She comes into the show as this robust, no nonsense character. Brit West who plays the role of Sophia, had us all laughing, as she began to speak her mind in “Hell No”. Her portrayal of Sophia was amazing. Her vocals, dancing and overall demeanor as this character were spot on. My group absolutely adored her. Adrianna Hicks, plays the role of Celie. Her character is the one you want to hug through the entire show. She gives the character of Celie SO much depth, from the defeated, broken woman to the conquering hero. The last song of the night “I’m Here”, and the way she sings it, will cause tears to roll down your face. 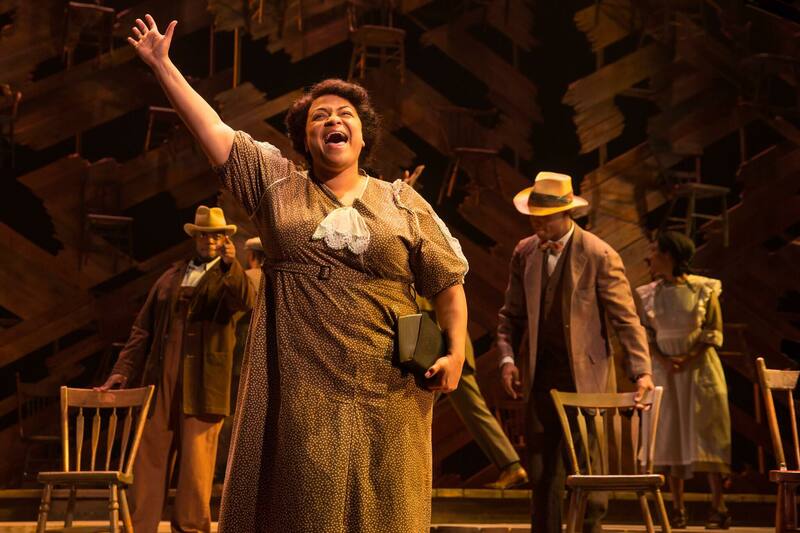 Adriana Hicks from the North American Tour of The Color Purple. Photo by Matthew Murphy. Carla Stewart, plays the role of Shug Avery, the complex character, with a gypsy soul. She was a great choice for Shug. 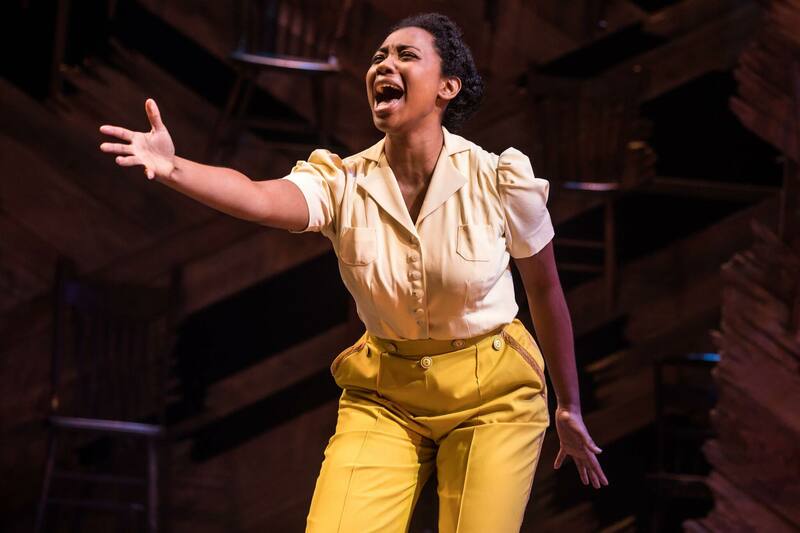 Her vocals were stunning, and the inner strength of her character pulling Celie up, out of the abusive rubble…It was a warm, and captivating performance. Gavin Gregory, plays the role of Mister. His character will set you on fire, but as the “villain” in this story, he does exceptionally well. His vocals are strong and smooth. He has a presence about him. I’ve always seen that kind of presence as a talent that can’t be taught. That natural control of the stage… These four have it!! This cast was absolutely amazing. It was the most raw talent I’ve seen in one show, in years. 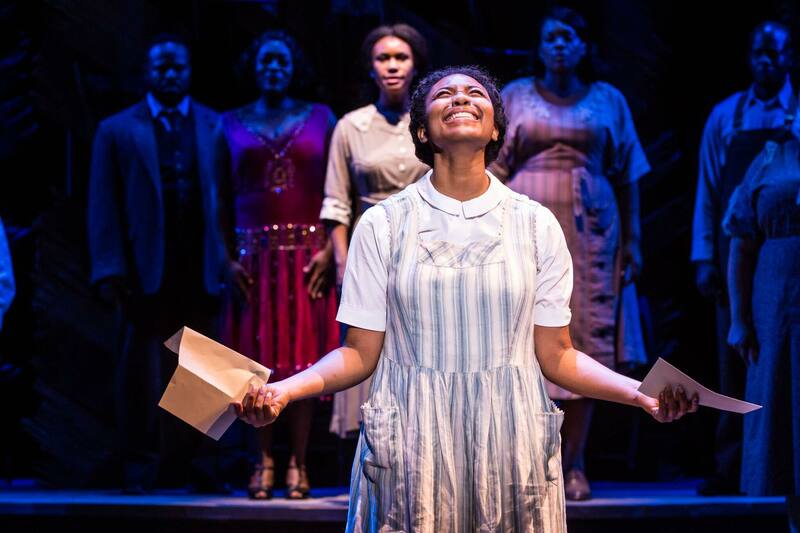 Performances of THE COLOR PURPLE at the Fabulous Fox run through April 1. Show times are Tuesday through Saturday evenings at 7:30 p.m., Saturday afternoons at 2 p.m. and Sunday afternoons at 1 p.m. 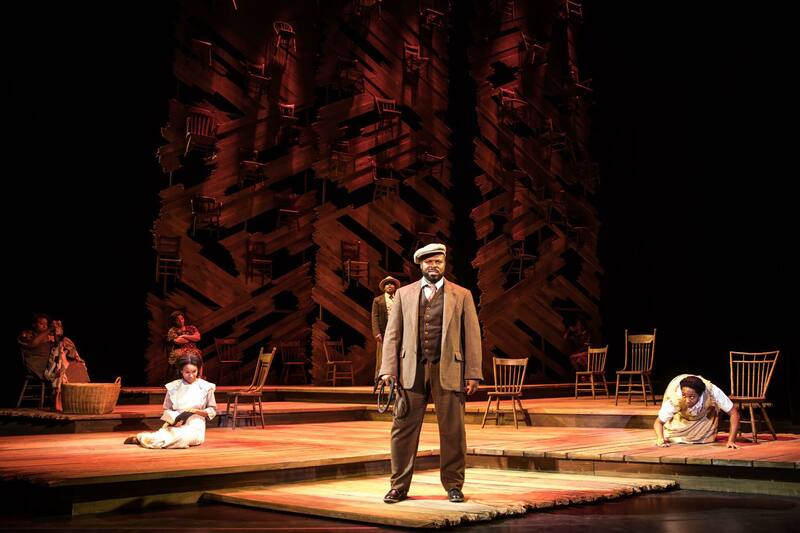 There will also be an evening performance on Sunday, March 25 at 6:30 p.m. and a matinee performance on Thursday, March 29 at 1 p.m.
Tickets for THE COLOR PURPLE at the Fabulous Fox are on sale now at MetroTix.com, by calling 314-534-1111 or in person at the Fabulous Fox Box Office. Ticket prices start at $25.